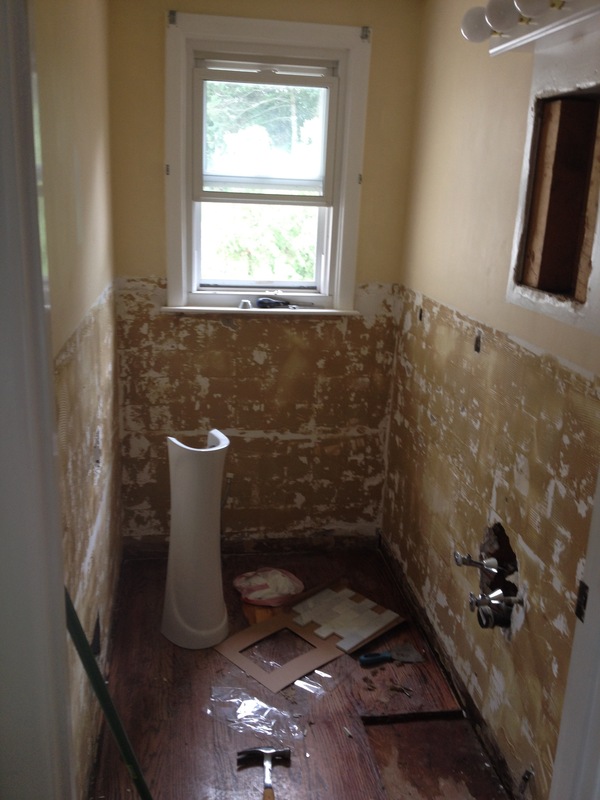 So, you’ll recall what the downstairs bathroom looked like before we set out to de-uglify it. Well, here’s a quick photographic progression of the project thus far. Sink, toilet, mirror, light fixture, tile– out. Adios. 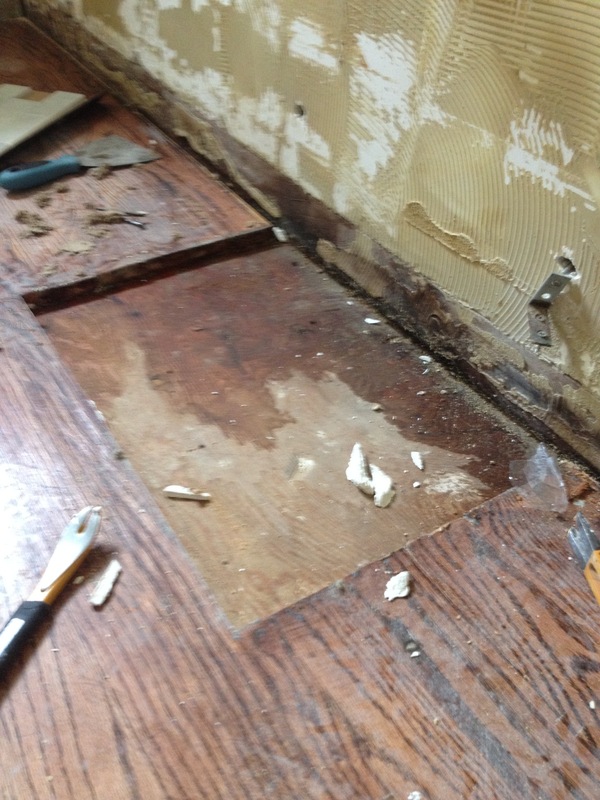 The yellowed 50-year-old thinset that was under the brown tile was actually prettier than the tile itself. And the hole under the vanity? Gah, we’re still baffled by that decision. Here’s the tile we chose for the hole. 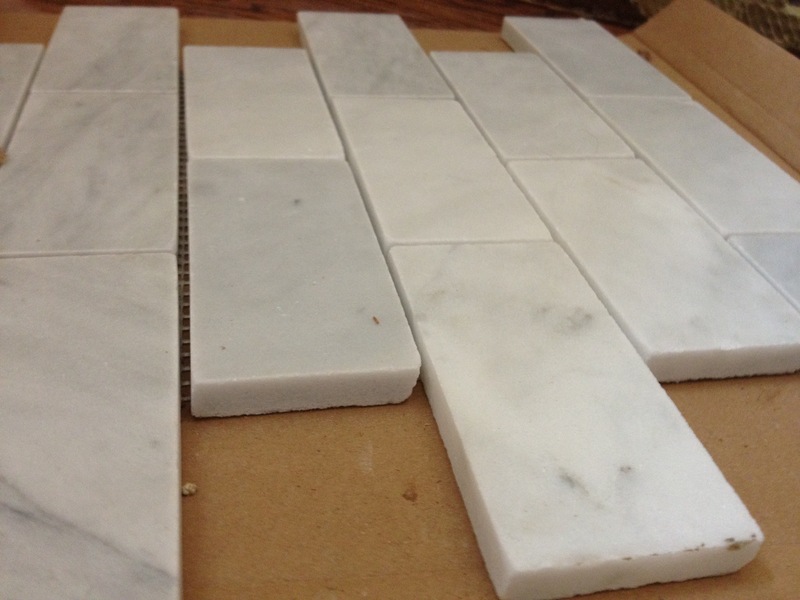 Sold by the square foot at Home Depot, actually cheaper than our tile outlet options. 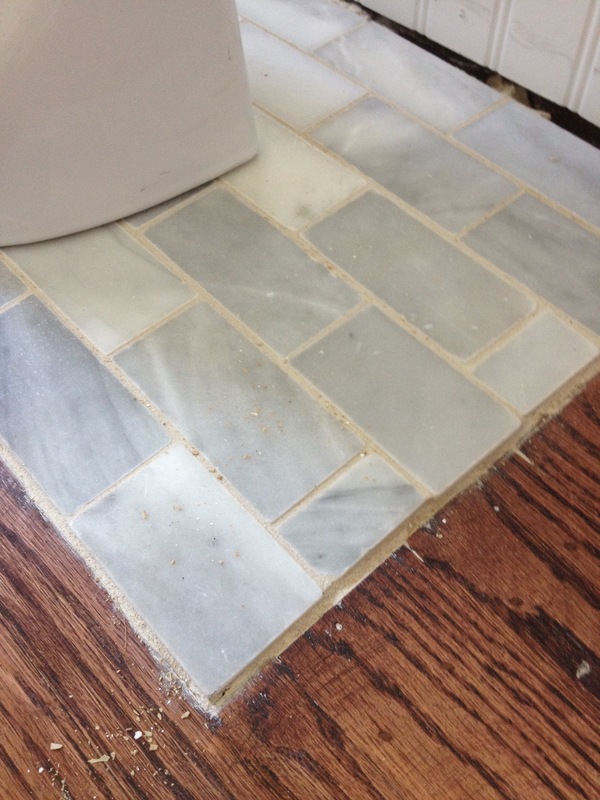 Naturally, said tile ended up on said hole. Aggie finally got a much (much!) 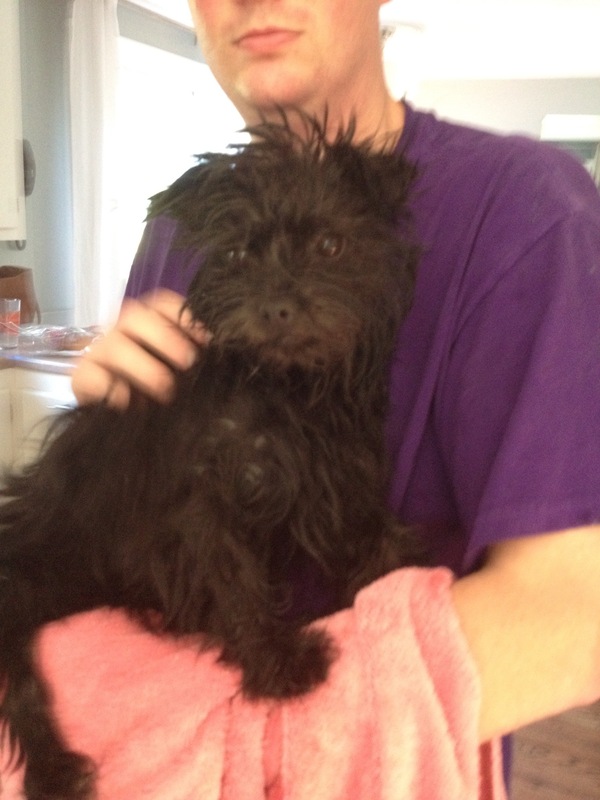 needed bath. After 6 weeks in a splint wrap for a luxated patella (which went on after our Easter trip…and a solid 2 or 3 weeks after her first bath), that sweet face stank something wicked. It was time, let me smell tell ‘ya. Next? 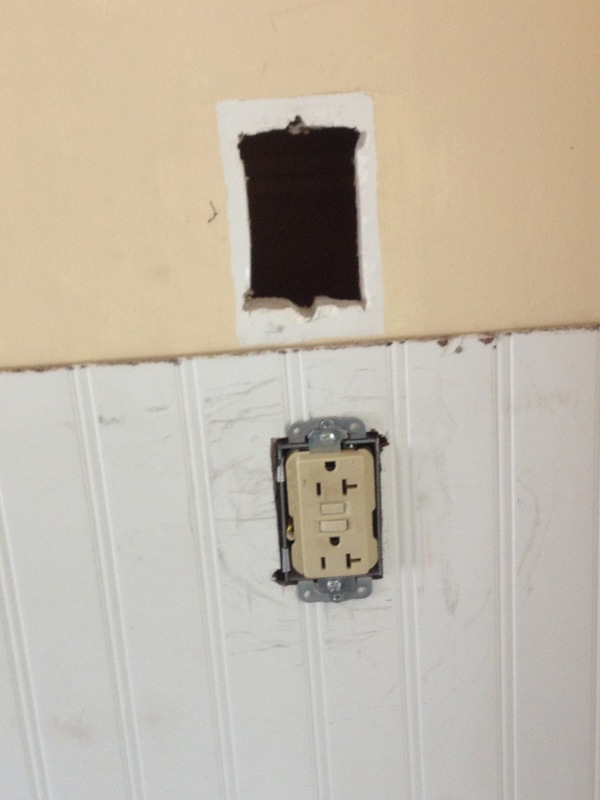 My very handy brother in law will be getting some construction practice by installing the trim, baseboard, and whatever else. 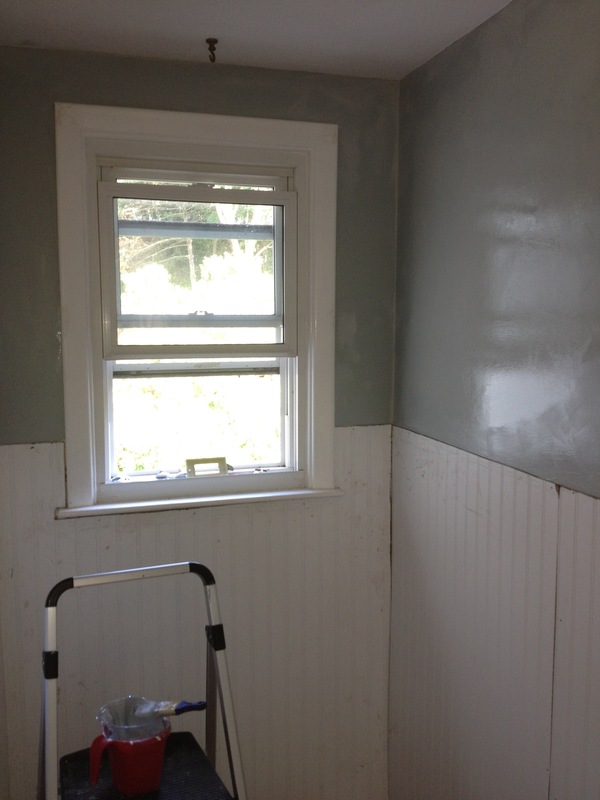 I’ll paint the beadboard and all the trim, and do any touch ups on the gray. 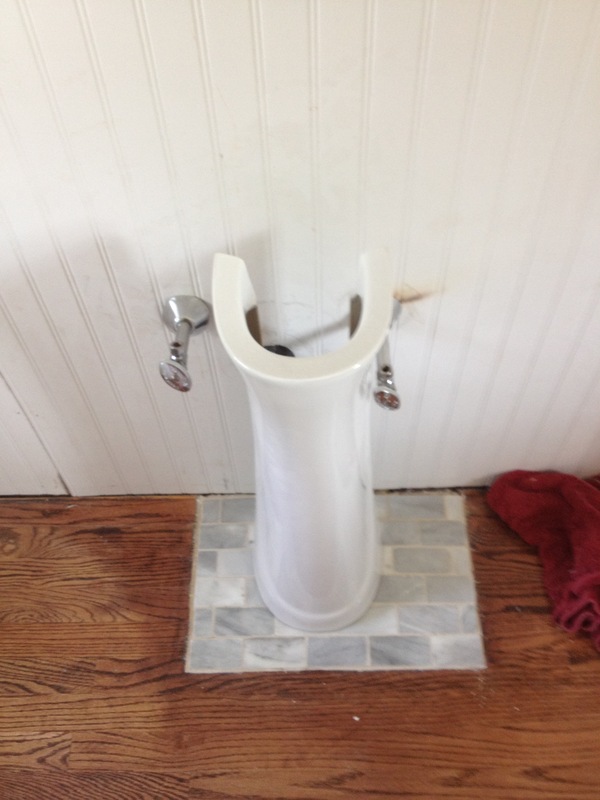 Then in goes the toilet and the light fixture. Then the sink and all the plumbing and faucet stuff that goes therewith. I’ll frost the window some time soon, and the towel bar and shelf will go in after that. Lots to do, and I can’t wait until it’s done. So the foot painting starts with coat 2? I saw your before photo in a separate post and I did not think it was bad at all. I might have made a few changes but it wasn’t as bad as you thought it was. 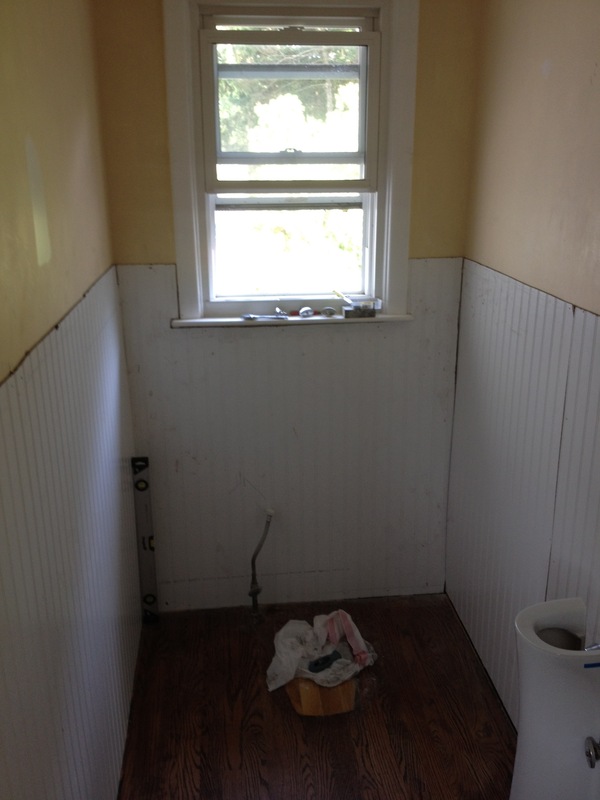 I am looking forward to seeing what your finished bathroom looks like.